The bank expects to reduce the number of employees through attrition and layoffs over three years. NEW YORK — Wells Fargo plans to cut up to 10 percent of its workforce over the next three years, the bank announced Thursday, which will result in thousands of job losses for employees of the nation’s third-largest bank. Wells Fargo employs about 265,000 people. The San Francisco-based bank is the nation’s third largest. Wells Fargo & Co. Chief Executive Tim Sloan made the announcement to employees Thursday. The bank currently employs roughly 265,000 workers, and plans to cut its headcount through both attrition and layoffs. The San Francisco-based bank has been under multiple clouds of scandal since 2015, when it admitted its employees opened millions of fake bank accounts for customers in order to meet unrealistic sales goals. Wells Fargo has since tried to make amends with the public and its customers, but every time it seems like the bank has put one scandal behind it, another pops up in its place. Since that admission, the bank has admitted to other scandals, including selling auto insurance to borrowers who did not need it and selling high-cost wealth management products to customers who also did not need them. 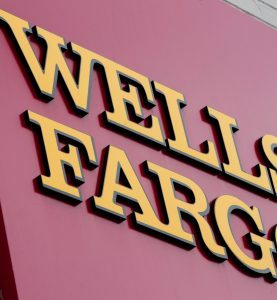 State and federal regulators, who have clearly lost patience with Wells Fargo’s pledge of making amends, have put restrictions on its business and have fined the bank more than $1.2 billion in penalties for its bad behavior.